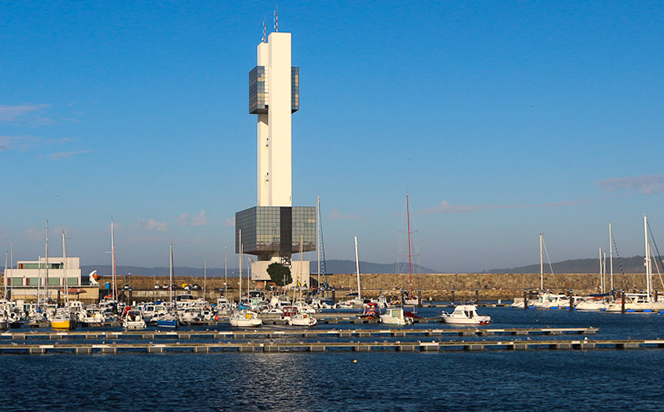 Marina Coruna is a large and modern marina with good facilities, although is subject to surge in heavy weather, particularly on the outer pontoons. This port on the Galician Costa da Morte in north western Spain has been a critical stopover for vessels on passage between northern Europe and sunnier climes for centuries. It’s a thoroughly modern city with excellent amenities, stunning beaches and a choice of recently built marinas, plus a rich maritime history and picturesque old town. 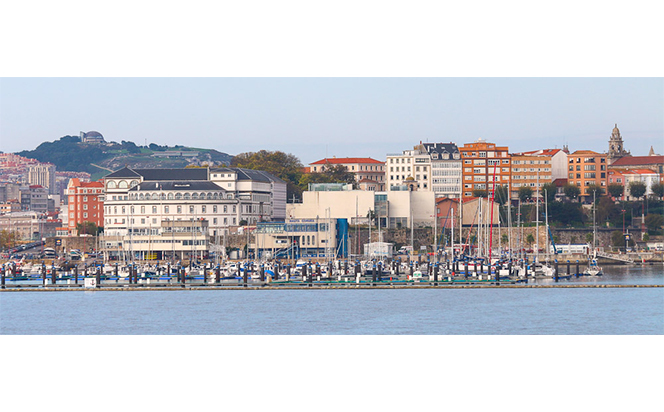 The free anchorage that was once a favourite of impecunious voyagers as they travelled south towards the sun is no more – the Marina Coruna is now in its place. In any case, there are other better anchorages not far away. Marina Coruna, conveniently located right inside the harbour’s main breakwater has berths for up to 700 yachts, including 100 visitors, with maximum length of 100 metres. It also benefits from a recently built quality facilities building, which includes a bar, plus upstairs restaurant. Unfortunately, even despite a floating wave-break, the whole marina can be subject to a surge in severe weather, with the outer pontoons being particularly badly affected. 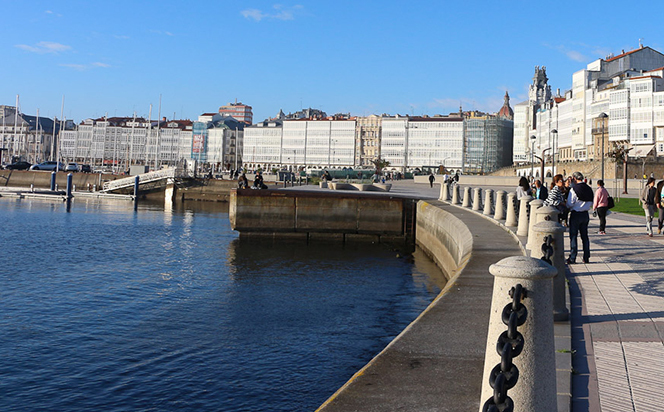 Further inshore is the marina of the rather formal Real Club Nautico de La Coruna. This is in an enclosed basin and offers better protection, although outer pontoons to which visitors tend to be directed are not as well sheltered as those further into the basin. There are berths available for visiting boats of up to 12m lengths and 3m draught. The port is home to a number f boatyards with a full range of skills on offer and there’s a small chandlery store. For instance, Marina Coruna has a 50 tonne travel lift and 15 tonne crane. It also sells fuel, although depths may be limited alongside here near low water. Ashore, this is a cosmopolitan and vibrant city of some 250,000 people, with all the associated amenities, including regular flights to destinations throughout Europe. The old town, near the marinas, is well preserved, with a labyrinth of narrow cobbled streets that are home to a wide range of restaurants, in addition to the more obvious establishments on the harbour front. The western part of the city, which faces the Atlantic Ocean, benefits from spectacular beaches that lay between numerous rocky headlands. 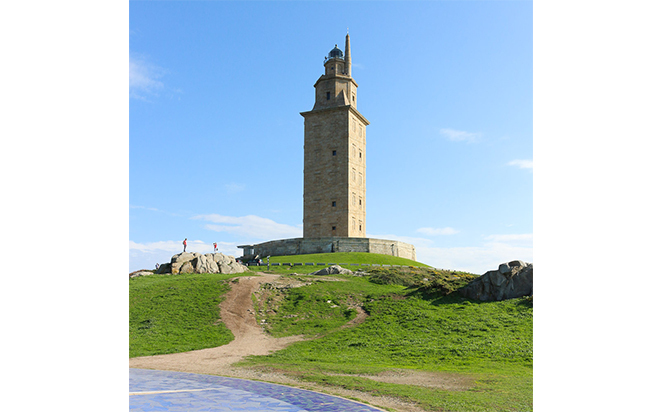 This is also home to the world’s oldest continuously operating light house, the Tower of Hercules, originally built by the Romans almost 2000 years ago and restored to its former glory in 1791.